Proceeds will go toward MusiCares & Anthropos Arts in support of #BlackLivesMatter and all persons of colour. *select different style of hoodie in the drop menu below. In December 2014, I created an ongoing campaign to raise awareness for two music organizations that provide direct support to student and working/professional musicians, respectively. 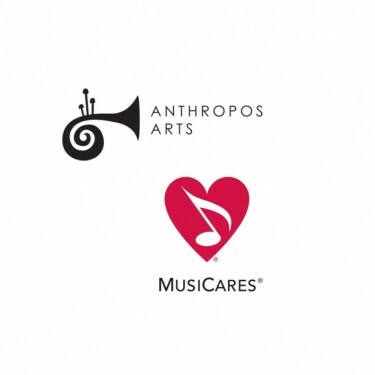 These organizations are known as Anthropos Arts and MusiCares. In the first couple of months of this campaign, I was approached with questions on why I wanted to do this. The main reason being that I felt a gravitational pull towards each. Anthropos Arts reminded me of what it was like being a teenager in middle school navigating the waters of band class for the first time. You realize then and there that music begins to come at a cost and it requires an investment. Anthropos Arts is a 3-tier program that provides needy students in Austin, Texas with the support to learn how to play instruments under the guidance of seasoned instructors. This support is supplied in the form of private lessons and workshops. These students will then have the opportunity to perform in live venues and festivals that will further enhance their chops and stage presence. MusiCares is an organization housed by the Recording Academy to support working musicians at any stage in their life where they are in need of assistance for health issues, living expenses, emergency situations, theft, and disaster relief. How I became inspired by MusiCares is a result of the support I received in the midst of a cancer scare. My experience with them reformed my thoughts about what a lifetime means and the legacy of music. I decided that no matter what happens in my own life, I wanted to be a part of the generosity that was impressed upon me as a way of supporting others in my profession. Both programs are tax-exempt, so if you're interested in making a contribution, you may do so by simply coppin' a hoodie for under $40 plus you have something awesome to sport in the A/C this Spring/Summer or during the chilly seasons this Fall/Winter.